To me, it’s an enigma. I’m not afraid to say that I’m in love with bowie knives. 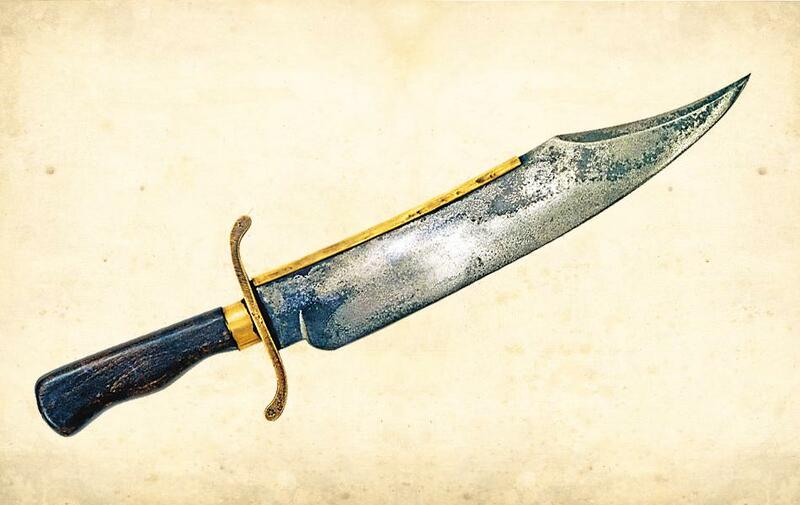 The iconic bowie knife is a favorite in America and around the world. It symbolizes the frontier, the wild west. 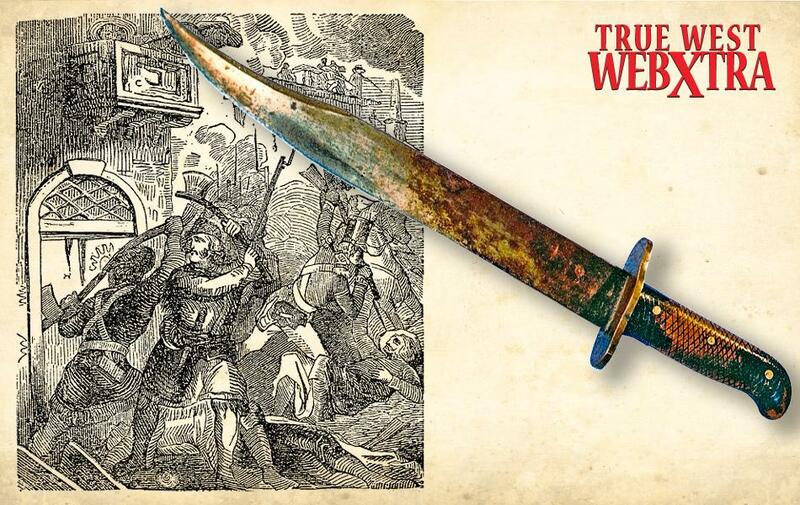 The knife was created by James Black for Jim Bowie in the early 19th century. Jim Bowie went on to become a notorious knife fighter who died at the Alamo. 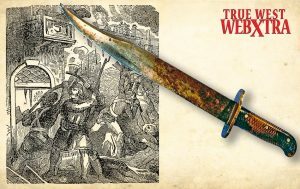 Other than those facts the original bowie knife has been lost to time and Jim Bowie is a character shrouded in mystery. 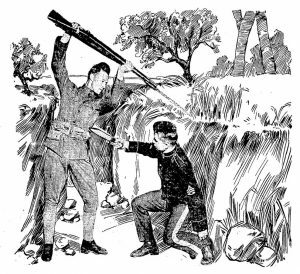 No one really has any hard evidence about him other than the facts I’ve stated above and that he was involved in the infamous “Sand Bar” fight on the banks of the Mississippi River on September 19, 1827. 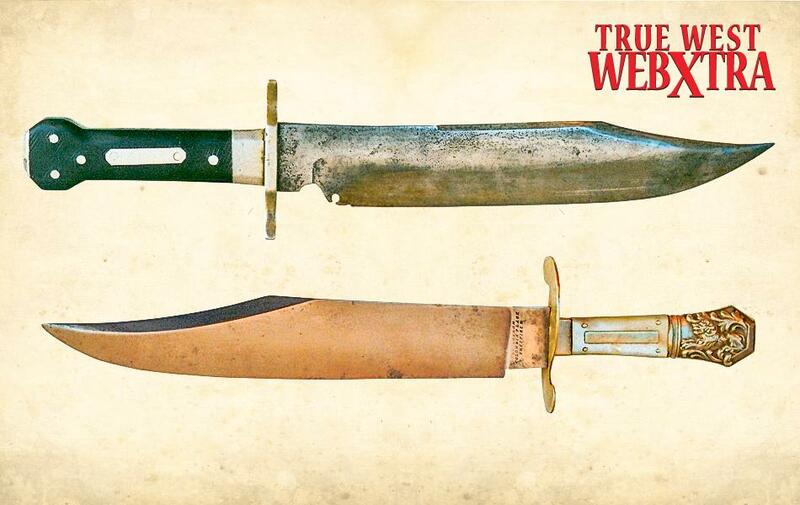 What we do know is that knives inspired by the bowie knife were what we’d consider to be a bowie knife these days. 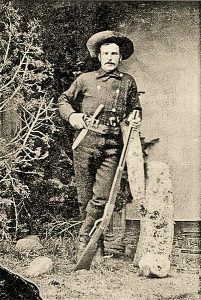 Most frontier knives at the time were only 4-6” so as a survival knife, that’s all you really need. If they could manage to survive back then with only a 4-6” blade I’m pretty sure we can manage today. 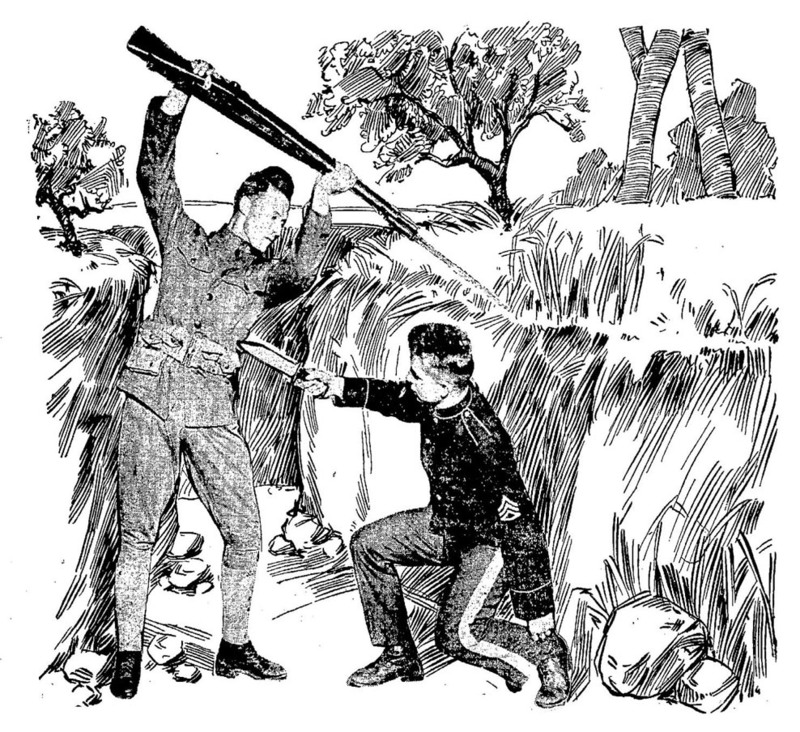 The reason a bowie knife was so much bigger than a trade knife was that the bowie knife was also a fighting knife. In close quarter combat obviously speed matters but so does reach. If you’ve got a longer weapon than your opponent (excluding guns) you should be able to win the battle. 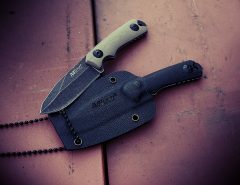 The bowie knife these days is great for survivalists because it’s so robust. It can be used in a very similar fashion to a kukri which is also another great fighting knife. 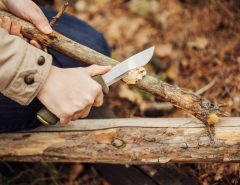 If you’re out in the woods and don’t have an axe or a hatchet, the bowie can be used to chop through small trees if necessary and is a great option for a knife. 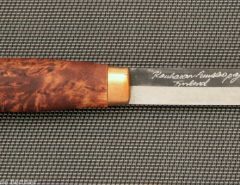 The other consideration is this, the knife just looks awesome. It’s a great feeling swinging a big bit of steel around, it’s heaps of fun as long as you’re careful! This is a video by Scholar Gladiatoria. He’s an expert in historic bladed weapons, primarily swords but he also has some valuable information on bowies. 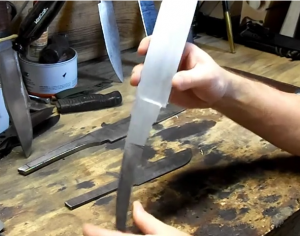 Hidden tang can be fine for knife construction. 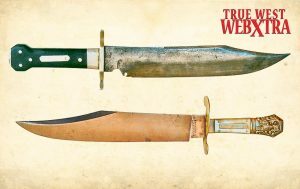 Yes, I know most people prefer full tang but swords and kukris used to be hidden tang as well and a sword that’s a few feet long smashing into a shield or armor will have to take more force than a bowie knife trying to chop down a small tree. 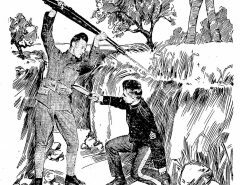 The moral of the story is if a sword can handle being hidden tang, so can a knife because a sword is subjected to greater force at the critical point which is where the blade or ricasso meet the handle. 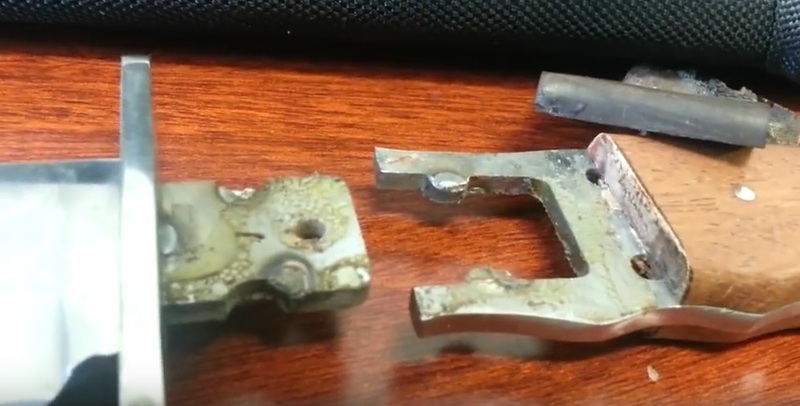 That’s where knives generally break if they’ll break because of them being hidden tang. You’ll find a lot of bowie knives under the $30 mark. That’s all good and well and you think you’re getting a bargain but you’re not. 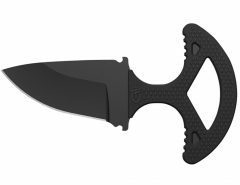 Generally these knives are made with a cheap stainless steal instead of high carbon steel like 1095. Bowies were designed to chop and as soon as you start chopping with a cheap stainless steel knife it will go blunt very quickly and a blunt knife is a dangerous knife. They can get sharp easily, that’s not the problem, the problem is edge retention, it just won’t stay sharp. If you’re knife goes blunt quickly, you’ll spend more time sharpening it than using it. Handles can come in a variety of shapes and sizes. 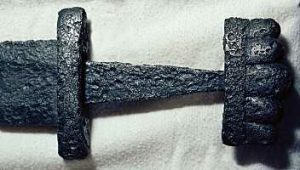 The one second from the left is known as a French pistol handle and the one on the right is known as a coffin handle. Personally seeing as I use a bowie to chop with I prefer a flared out handle towards the pommel like in the image on the left. You just have to pay up. 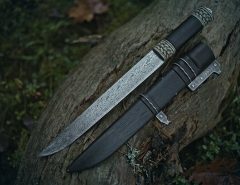 If you just want a cheap showpiece that won’t really get used much then sure, a cheap bowie knife will do the job but if you want something that will actually be a useful tool, you’ll just have to pay because you’re buying a big piece of steel. 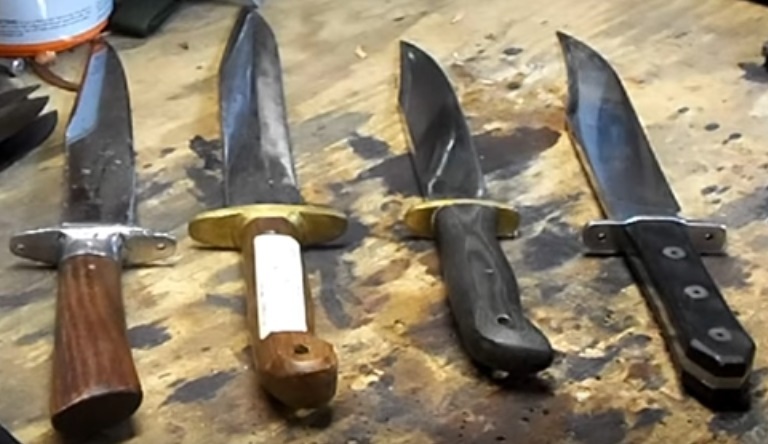 The steel used in a bowie knife could be 2-3 times as much as a 4-6 inch blade so it stands to reason that if you want a lot of quality steel, you’ll have to pay extra for it.